My father always used the same bowl, painted birds around the rim. I could barely see over the counter, but I knew those birds would fly forever. The eggs were for my mother, who couldn’t remember when she last ate. I remember the white balls of lint that stuck to her covers. She slept all day. My father cracked eggs with one hand. Every movement was deliberate. The beating was my favorite part: the fork throwing up a fury of bubbles, like a mouth rinsing itself clean. I still attempt, without success, to replicate that sound. The bizarre element was the green onion. A self-taught artist, my father clearly possessed the skill to slice, but instead he pounded the cutting board indiscriminately, leaving a leaky mass of spindles. I could never see his eyes. The lenses of his glasses reflected everything like a mural, an equation I needed time to figure out. It was algebra. When he was finished, though, you wouldn’t have known what those green onions had been through. They resembled wet emeralds. 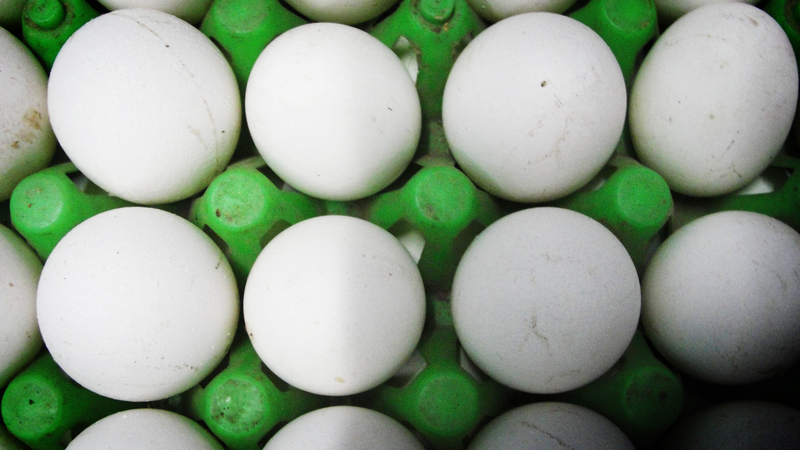 The eggs had a glossy, unbroken surface. I remember wishing, without hunger, to have the first taste. To eat a perfect thing. Daniel Enjay Wong is a recent graduate of Stanford University. He lives in Los Angeles, where he teaches art to chronically ill children, and is working his way toward medical school. His fiction is featured or forthcoming in Tin House (online), PANK, Bartleby Snopes, Pinball, and JMWW, and you can find him online at dwong.net. Follow him on Twitter at @DanielEnjayWong.